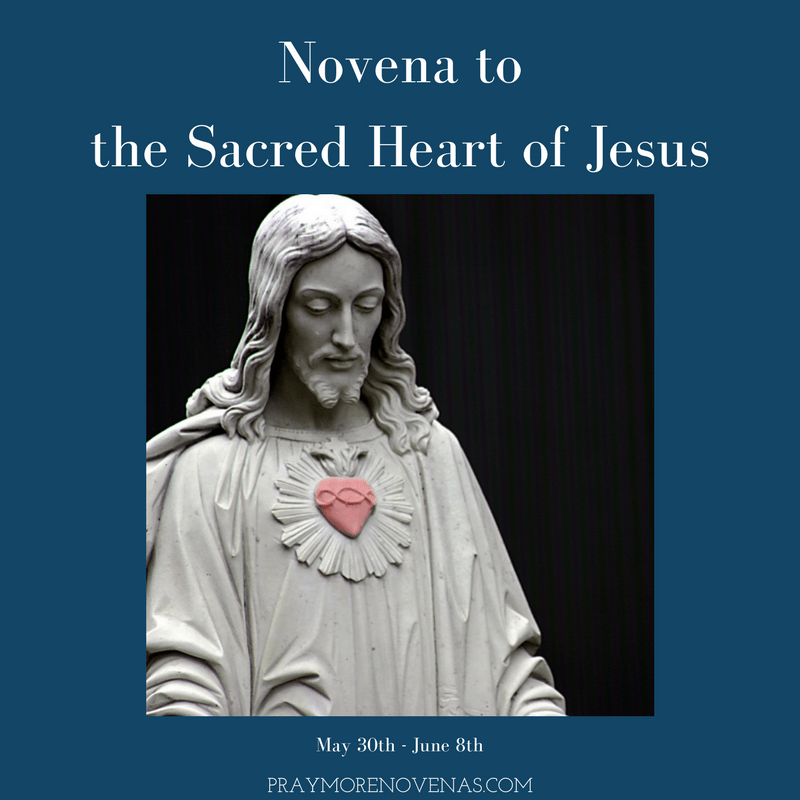 Here’s Day 5 of The Sacred Heart of Jesus Novena! I pray for good test results. If that not be your will, I pray for the strength and courage to faithfully handle what comes next. I pray for my ex-husband that I will find forgiveness in my heart for his unfaithful actions. I pray for my sons health and guide him with his future plans for college. I pray for my daughter that she overcomes her anxiety and finds direction for her college career, internship, and job. Please watch over my children’s safety. I pray for my make friend that he may realize the pain he causes himself for his actions. Please heal me jesus for my heart problem i have let me get better and let my anxiety go away please let me have peace of mind, let my son james change his ways. Blessmy mom doris . Let joe get better. Pleae hear my prayers thanks for answered prayers . My Husbands health, My son’s mental health and our home! For all our Children and Grandchildren. For all those needing prayers . Dear Sacred Heart of Jesus please help me give me more know and more wisdom for my 2nd day of my nursing board examinations..Help me to focused and calm I can answer my board correctly and I can shade my scantron properly ..Sacred of Jesus help me to be the topnochers with the average of 88%..Thanks Sacred Heart Jesus I can manage to finish my examinations today even I’m so nervous I. make wrong with my personal Information..in Jesus time Amen.. Please will you pray that the mass found in my lung will not kill me. I have a 15 year old daughter. No biopsy has been done yet. Dear Lord, please bless me as I am struggling financially. Please bless me with work so that I can support myself and my family. I pray for the discernment of marriage with Chiamaka. O Sacred Heart of Jesus I pray for my nephew and his wife to return to the Catholic Faith, to have their marriage blessed in the Catholic Church and for them to become active parishioners to the Catholic Church. Pray that Worker’s Comp will pay for my sister, Brenda’s surgery. Protect Gee in her old age. I pray for me to losebsome weight so I will be more healthy and look better. I pray that all my organs are fine. I pray that my husband and daughters organs are fine. In Jesus’s name I pray Amen. Sacred Heart of Jesus please help me rid myself of the burdens that I carry. I feel overehelmed with all the problems in family making it difficult to get through most days. Please help us get our house ready for sale so that we can move forward into retirement & have more energy to help our daughter. She has many burdens & needs have with her young family. I thank you Jesus for all you have done for me. I will always place mt trust in you . Sacred Heart of Jesus, I ask for the grace of deliverance and forgiveness for Carlos A, May his hear be filled with love and generosity and may he be willing to sign our equitable and just divorce agreeemnt. I ask for success in my children’s C and I school year and the upcoming college tests. I ask for the grace of my children’d Faith, love and service in their hearts. I ask for my sister G’s employment, May she find one that serves you best. And finally I ask for the grace of love and companion for S, May she find a faithful partner to share her Life. Thank you My Lord, Amen. Sacred heart of Jesus help Trevor and Mavis in this difficult situation. Bless all my family. Keep Steph well and help little Sophie and Peter. Thank you for my confidence yesterday. In the name of the father . Amen. Sacred heart of Jesus help Trevor, Mavis and family through this ordeal. Please bring Steph’s health back. Bless all my family and friends. Thank you for giving me courage yesterday and help me stop being foolish. In the name of the father. Amen. Please pray for the successful sale of my proPerry & that ill get finished packing.